Sometimes we are too clever for our own good. When questioned by Papus Ben Yehudah, a fellow Jew, Rabbi Akiva responded with a parable. A fox standing on the riverbank noticed the fish rushing to avoid the fisherman’s net. The fox invited the fish up to the riverbank, where he promised to protect them. To which the fish replied, Oh, fox, they say you are clever, but you are a fool. In the water there is a chance that we will be trapped and die and a chance that we will be spared and live. On dry land, we will certainly die. The same applies to us, concluded Rabbi Akiva. If we study Torah, we might be ensnared in the Roman net and die, and we might get away with it and live. But if we stop studying Torah, we will surely die. This is an example of the fox being too clever for the fish. There is another fox episode in the Talmud in which the fox was too clever for himself. This story occurred several years before the first story. It too involved Rabbi Akiva. One day, Rabbi Akiva and his colleagues were traveling to Jerusalem. As they crested the hills around Jerusalem and beheld the ruins of the Temple, they rent their garments. As they neared the Temple Mount, they saw foxes emerging from the place of the Holy of Holies. The rabbis cried, and Rabbi Akiva laughed. Why do you laugh, asked they? Why do you cry, replied he? How can we not cry, they replied, when we see foxes milling about a place of which it is written that “a stranger who draws near shall die?” To which Rabbi Akiva replied, this is precisely why I laugh. Uriah wrote, “Zion shall be plowed as a field.” Zachariah wrote, “old men and women shall yet sit in the streets of Jerusalem.” So long as Uriah’s prophecy was not fulfilled, I worried that Zachariah’s prophecy might not be fulfilled. Now that Uriah’s prophecy was fulfilled, there is no question that Zachariah’s prophecy will also be fulfilled. When the Talmud relates a story, each detail is instructive. If the Talmud saw fit to tell us that the foxes were milling about the Temple Mount, it must be key to the story. If the Talmud saw fit to explain that they emerged from the place of the Holy of Holies, it too must be instructive. And though one can argue that the story simply unfolded this way, the fact that the Talmud reports these details tells us there is something to be learned from it. When one seeks insight into the nature of a fox, one immediately thinks of the other story in the Talmud; the one about the fox that was too clever. The fox was Rabbi Akiva’s symbol for one who believes that under certain circumstances, Jews are better off abandoning Judaism and pursuing the goals of the non-Jews. When it is dangerous to be a Jew and advantageous to appear as secular as the non-Jew, the fox believes that it is time to stop acting Jewish. To stop keeping kosher. To stop sending our children to Jewish schools. To stay away from Jews who make us stand out and look different. It is even time to keep our Jewish identity secret from our own children as many Jews sadly did after the Holocaust. This is a clever way to avoid the danger of anti-Semitism and a clever way of gaining the social and economic benefits available to the non-Jew, but it is too clever for our own good. as Rabbi Akiva told Papus, if we study and observe the Torah, if we remain loyal and true to our Jewish soul, we might suffer indignity and even punishment, but we have a fighting chance of survival. If we surrender our Jewishness, we have lost the war before the battle even begins. Seeing the Temple in ruins, didn’t bring the sages to tears, but seeing a fox emerge from the Holy of Holies was too much for the sages. They broke down and cried. So long as Jews remained vibrant and loyal to Torah, the sages believed that the exile was temporary, and the Temple would soon be rebuilt. G-d’s wrath against the misdeeds of Jews was expended on the Temple’s physical structure, and so long as the Jew’s loyalty and faith were intact, they believed the physical structure would soon be rebuilt. But they saw a fox leaving the Holy of Holies. To them this meant that the fox, the part of our mind that is too clever for our own good, was leading Jews to abandon all that is holy, the sacred Jewish traditions, because clinging to them was too dangerous. Rome was the superpower and held all the strings. Jews who threw their lot in with Rome were set for life. Jews who clung stubbornly to Judaism were ostracized for life. When the sages saw that Jews were losing faith with Judaism they broke down and cried. What will the future hold? Will the Temple ever be rebuilt for Jews who abandon their Judaism? Rabbi Akiva perceived that the opposite was true. A Jew’s connection with G-d, no matter how dormant, is always in place. Therefore, if Jews had fallen so low, then surely there is nowhere for them to go, but up. If the saddest part of the prophecies were fulfilled, then the time had come to start fulfilling the happiest part of the prophecy. So long as the Jew remained faithful and the Temple lay in ruins, there was little direction on how to bring about the rebuilding of the Temple. But once we see that the Temple’s physical destruction was caused by the Jew’s spiritual abandonment of Torah, we have a clear directive. Bring the Jew back to Torah, and the Temple will be restored. The streets of Jerusalem will once again teem with Jews. If this is our directive, then we have no time to cry. We must put on a smile and fulfill our marching orders–bring Jews back into the Holy of Holies. 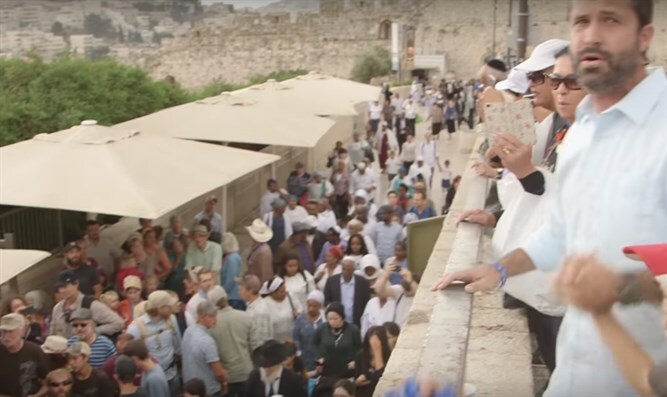 Thank G-d, after nearly two thousand years, the streets of Jerusalem teem once again with Jewish men and women. The Canaanites, Philistines, Assyrians, Babylonians, Persians, Greeks, Romans, Byzantines, Muslims, and Christians have all come and gone. The Jew survived them all and has finally come home. Yet, the Temple has still not been rebuilt. 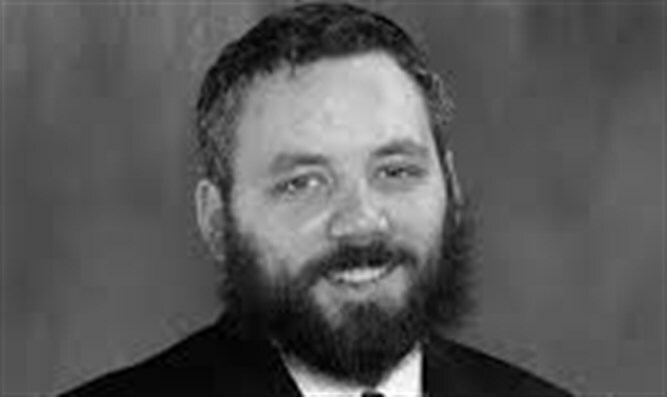 Mashiach has still not arrived. The question we must each ask ourselves is this: Are we behaving in ways that would make Rabbi Akiva laugh? We know what it takes to rebuild the Temple. Let’s go out and bring our fellow Jews back into the Holy of Holies. Let’s stop crying. Let’s give ourselves instead a reason to hope.